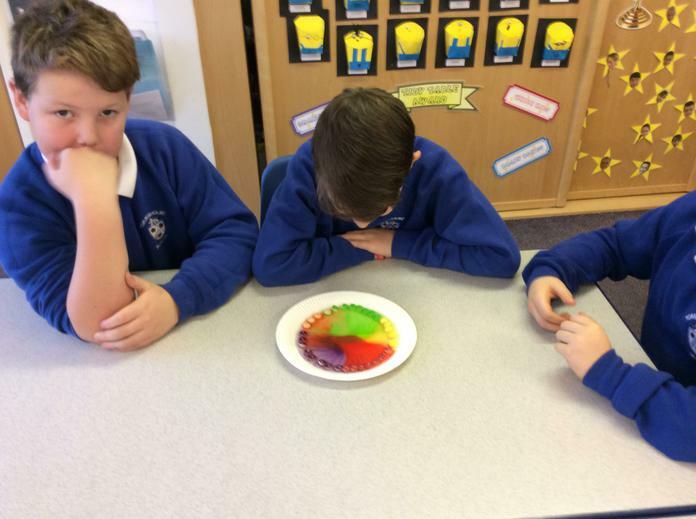 Today, was the first day of Science Week and this was our very first investigation. 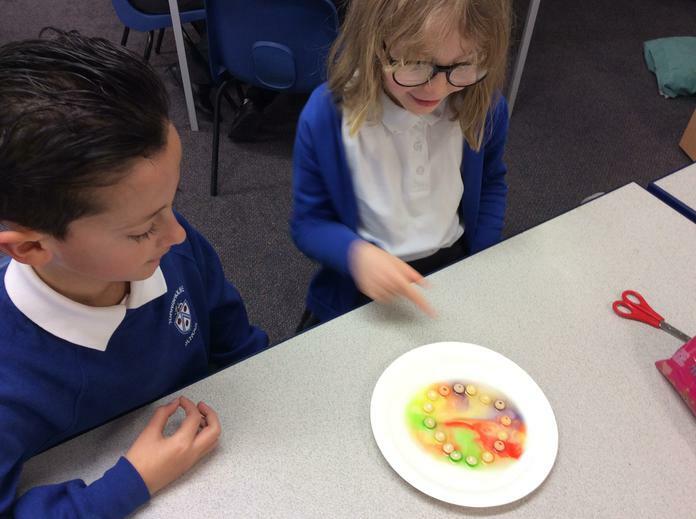 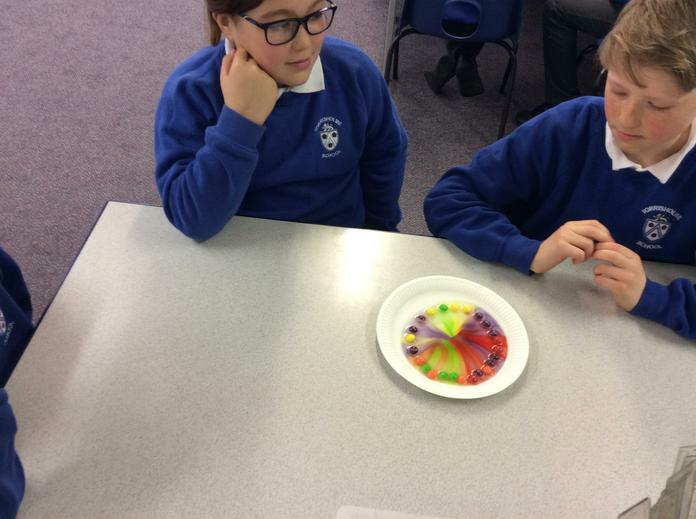 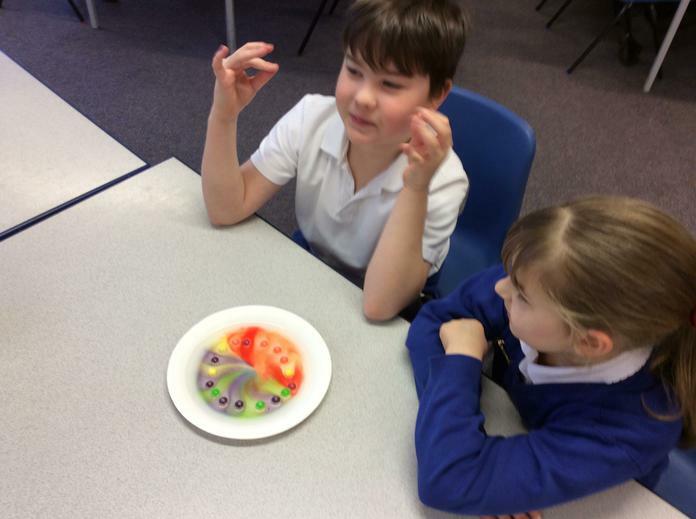 We used Skittles in warm water to see if the sugar coating was soluble. 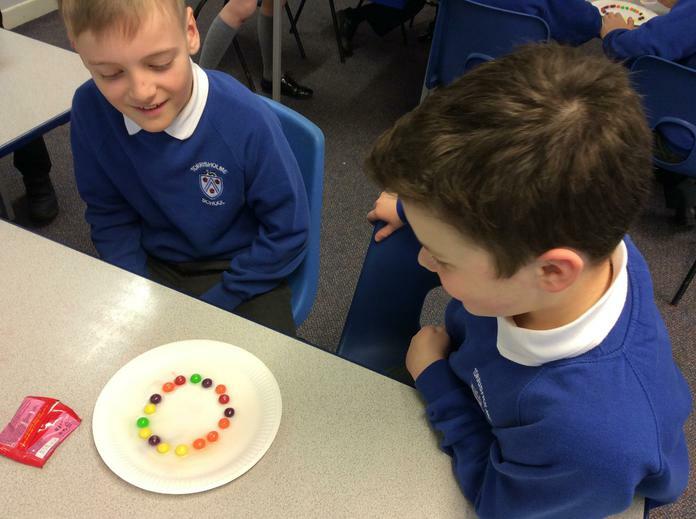 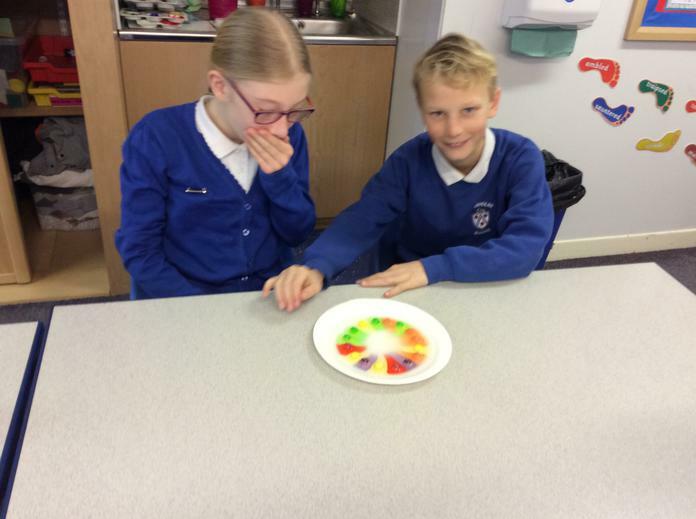 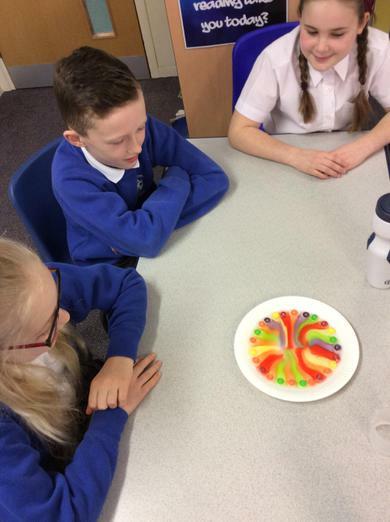 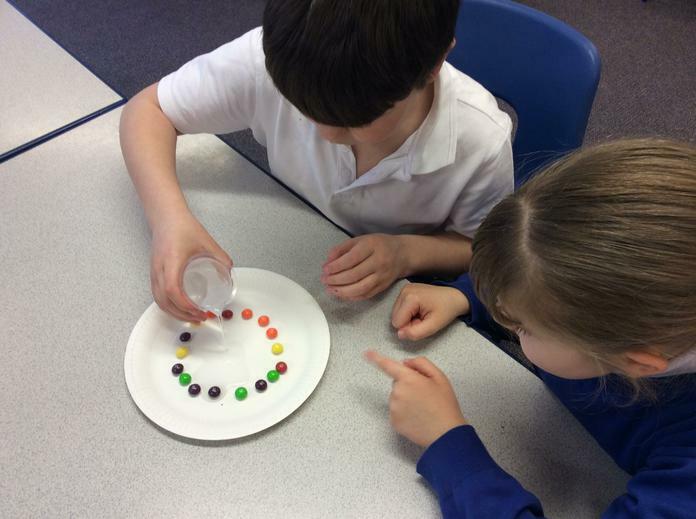 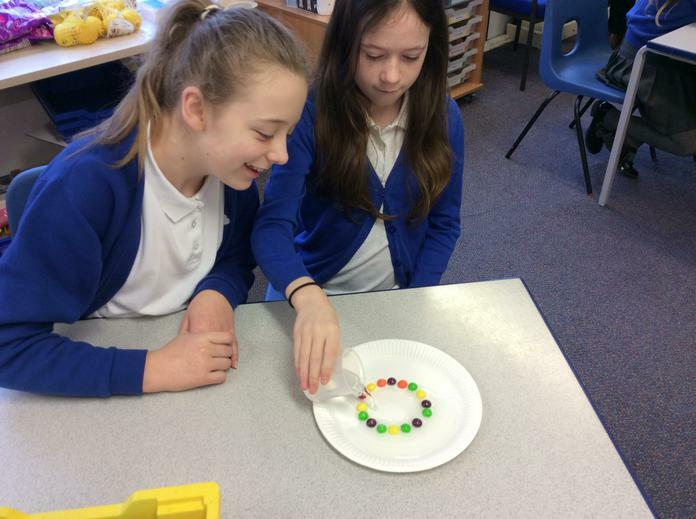 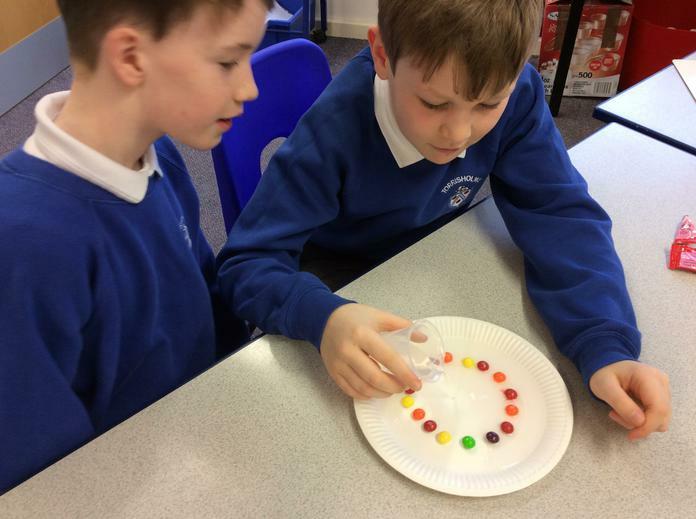 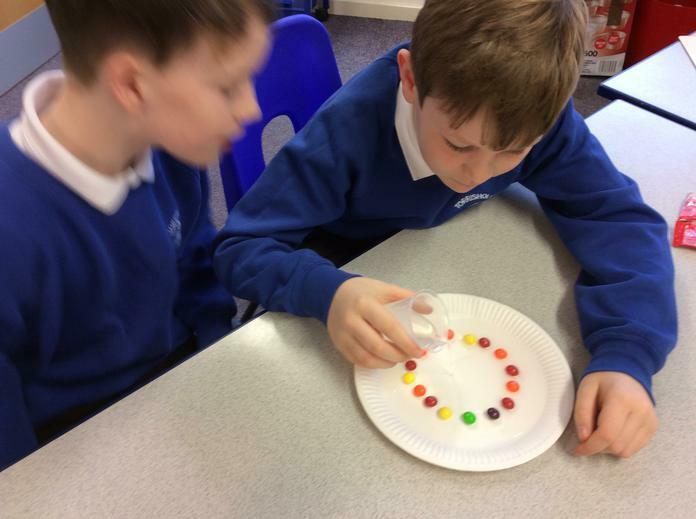 So we poured 100ml of warm water on a plate which had a circle of Skittles on it. 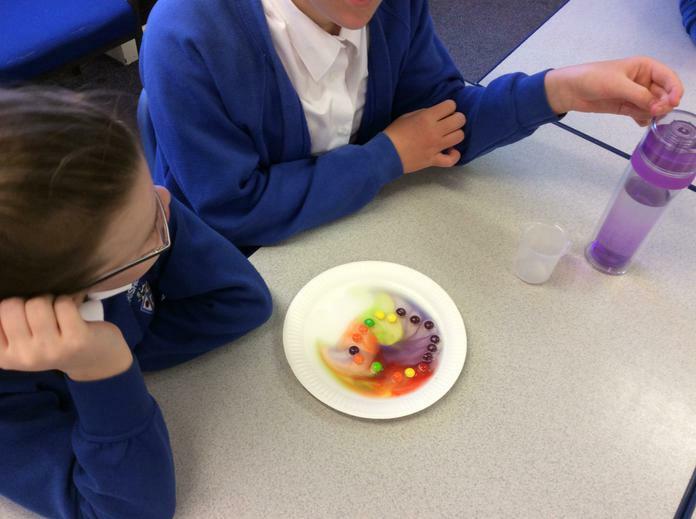 As the Skittles' coating dissolved into the water, a riot of colour appeared. 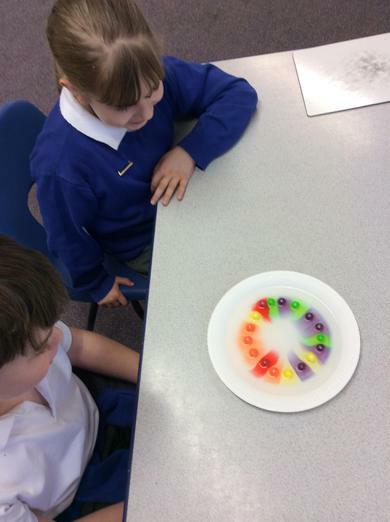 The water was now a solution (sugar and water). 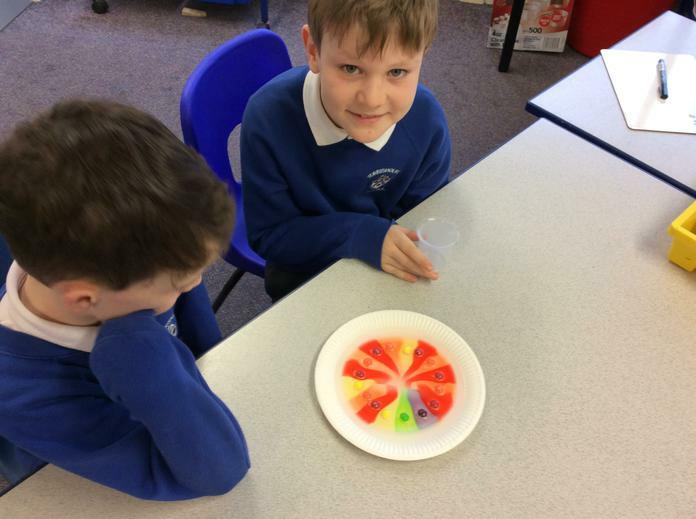 The solvent was the water and the solute was the sugar. 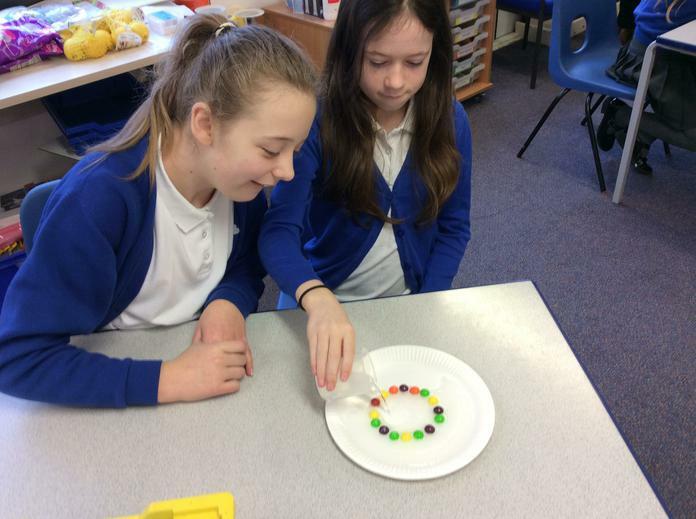 We were right - sugar is soluble! 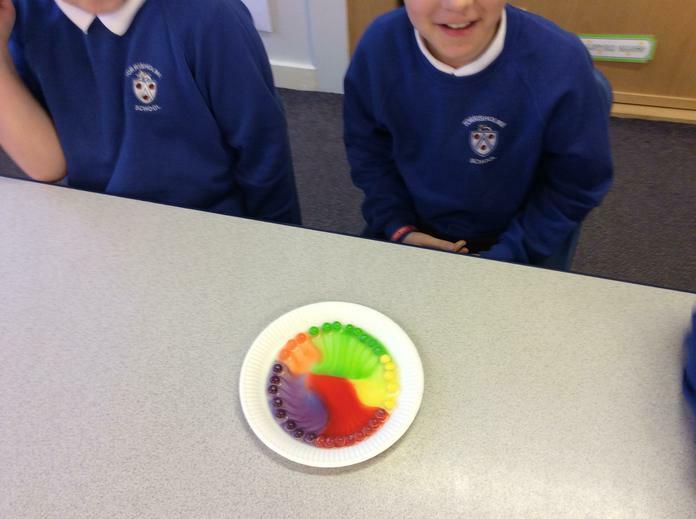 Never mind "Taste the Rainbow", we've "Made the Rainbow!"